Abstract submission is closed - 2607 abstracts were submitted. The Scientific Committee on Antarctic Research SCAR and the International Arctic Science Committee IASC invite the international polar and high altitude community to submit abstracts for the Open Science Conference OSC at POLAR2018 in Davos, Switzerland. 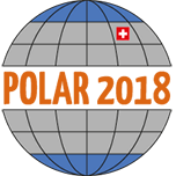 The goal of POLAR2018 is to bring together excellent research from both poles, as well as from high altitude areas, focusing on the similar challenges those regions face. The program features 65 sessions, structured into 12 categories. In addition to the parallel sessions, central elements of the OSC will be keynote presentations, mini-symposia, extended poster sessions and exhibitions. The Open COMNAP Session will be held during the OSC, as well as a plenary lecture from the 2018 Arctic Observing Summit as an opening to this biennial summit immediately after the OSC. The abstract submission deadline has been extended and is now on 12 November 2017, 6pm CET. You may submit as many abstracts as you like, but only two with a preference for oral presentation. There is an abstract submission fee of 30 CHF per abstract, which will be charged to your credit card. Before entering your abstract you will be asked to choose a session. Read through the session descriptions to find the best match. Make sure to read the submission guidelines before starting the submission process. The application deadline for abstract submission fee waivers was on 24 September, no further applications can be accepted.